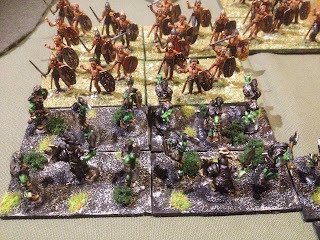 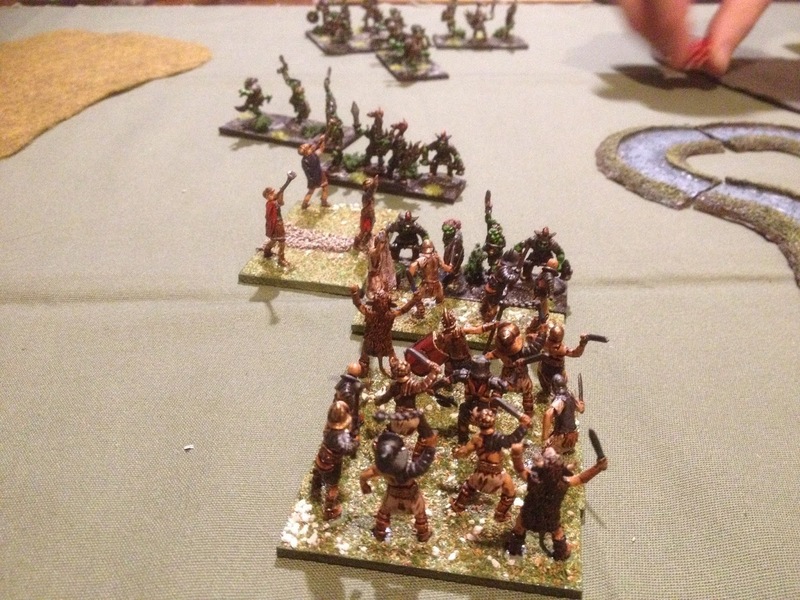 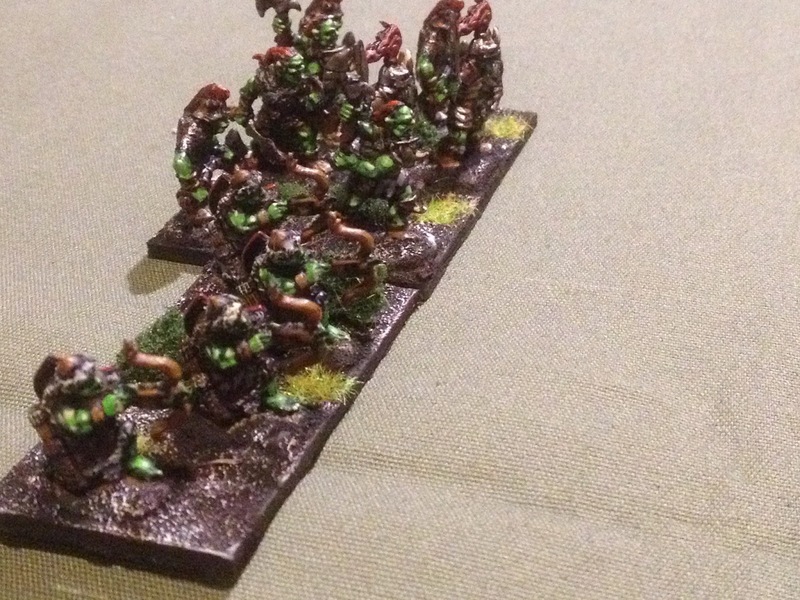 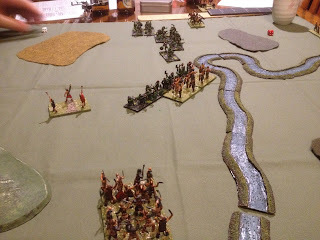 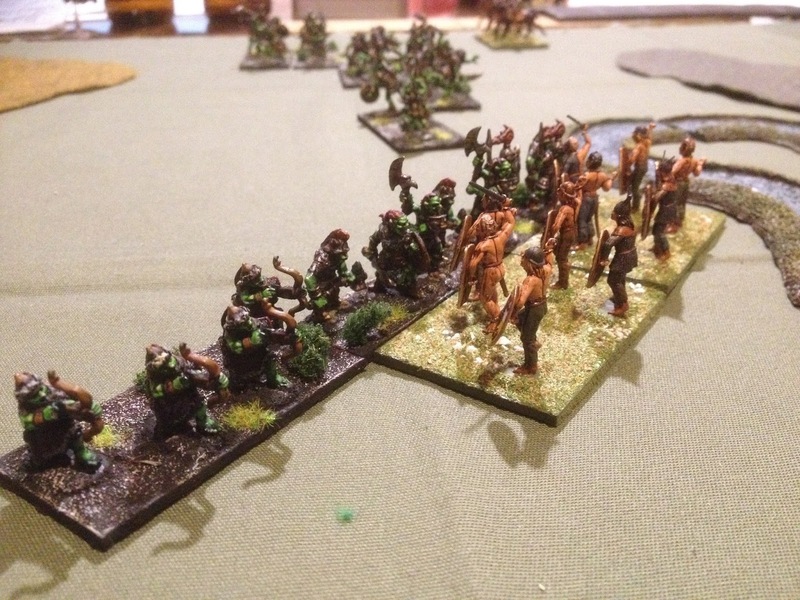 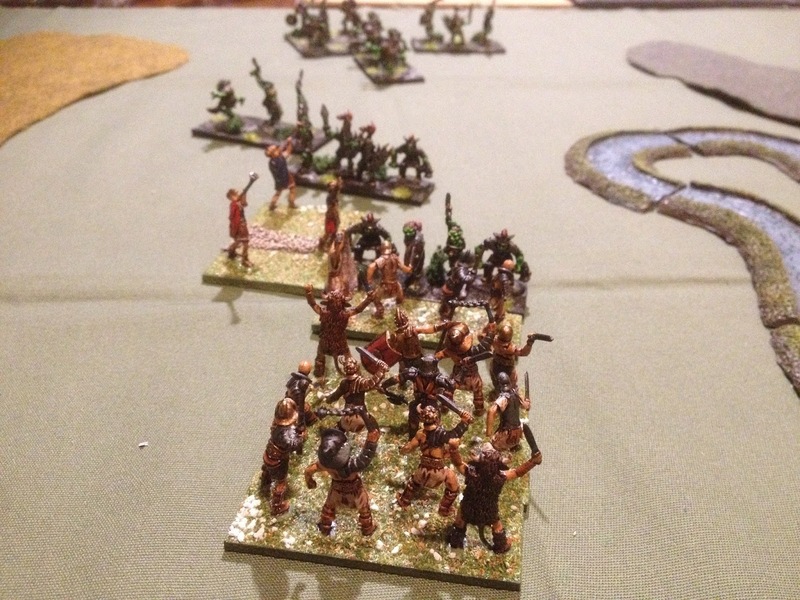 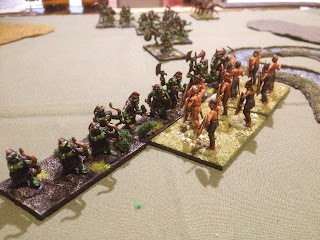 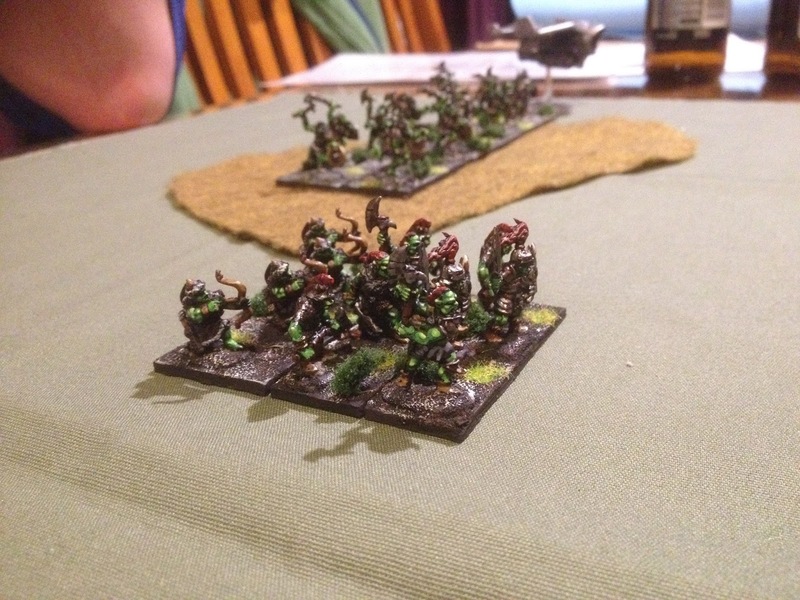 Last week Nick and I journeyed to Andy's place with the new Orc army to play some HotT games. 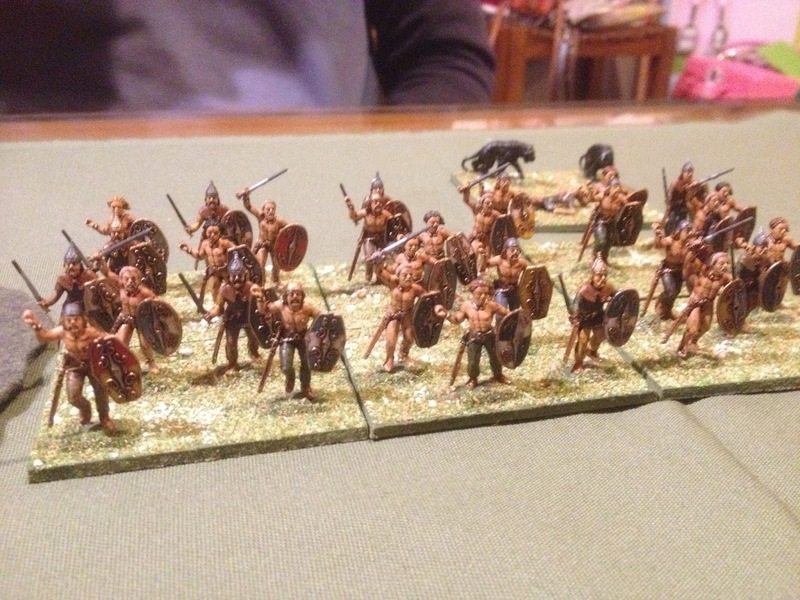 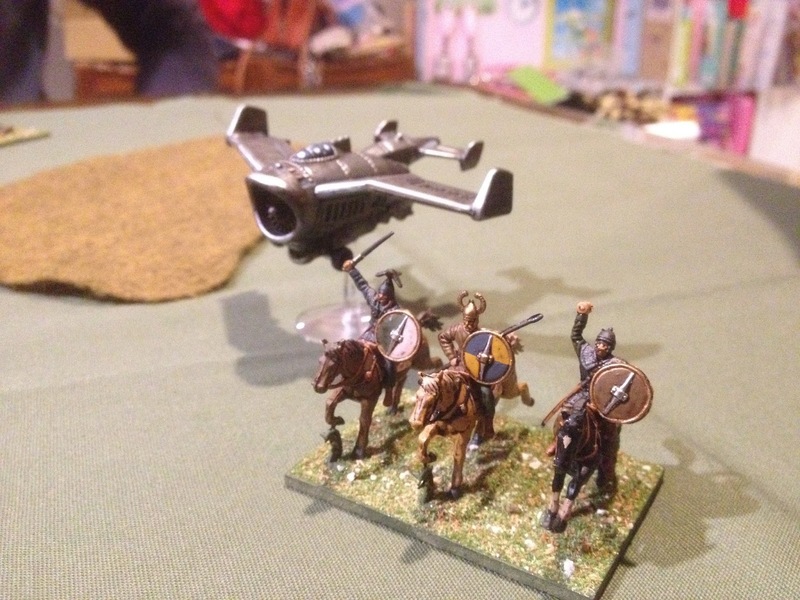 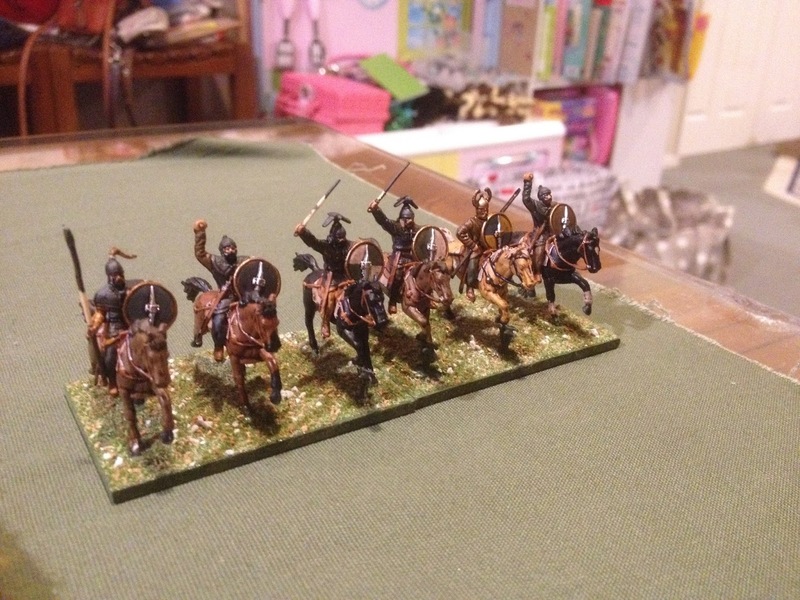 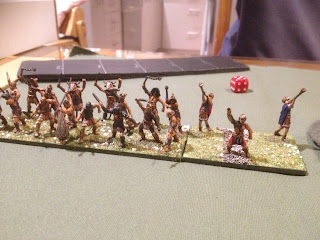 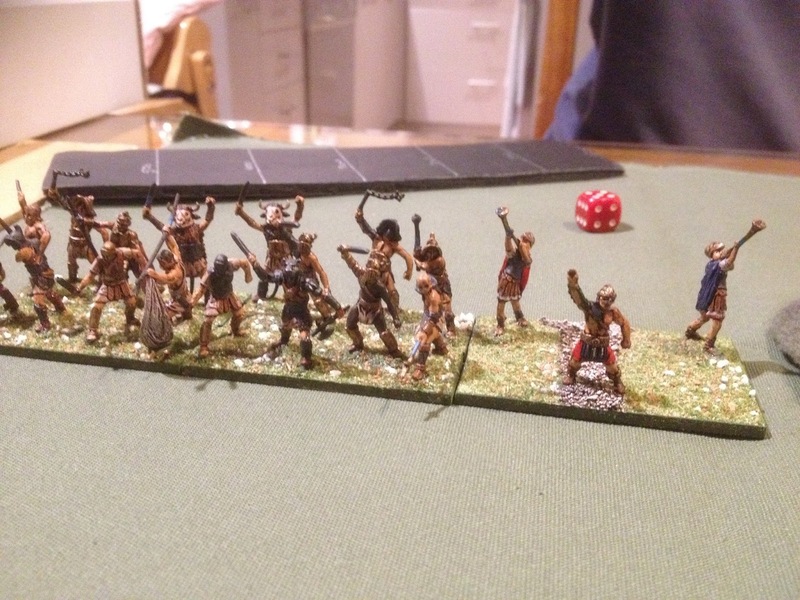 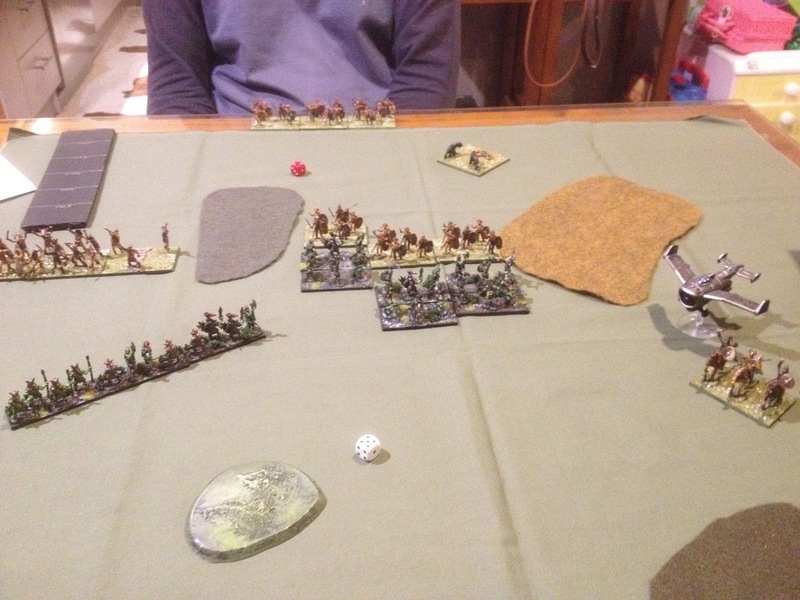 Andy has this very cool 'Spartacus' army, with Spartacus as a hero, some blades, cavalry riders and Hordes. 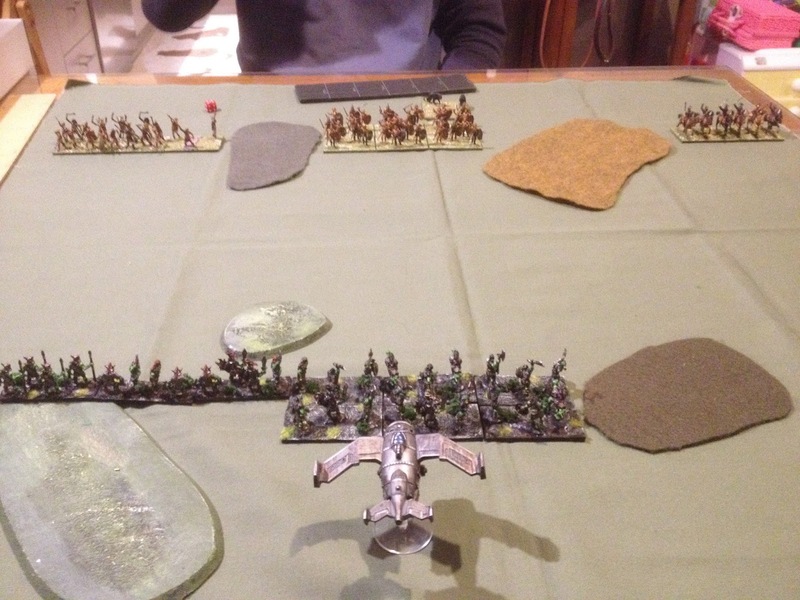 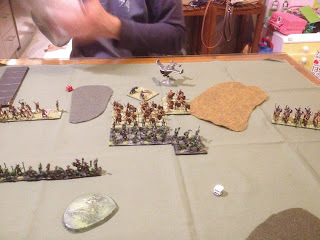 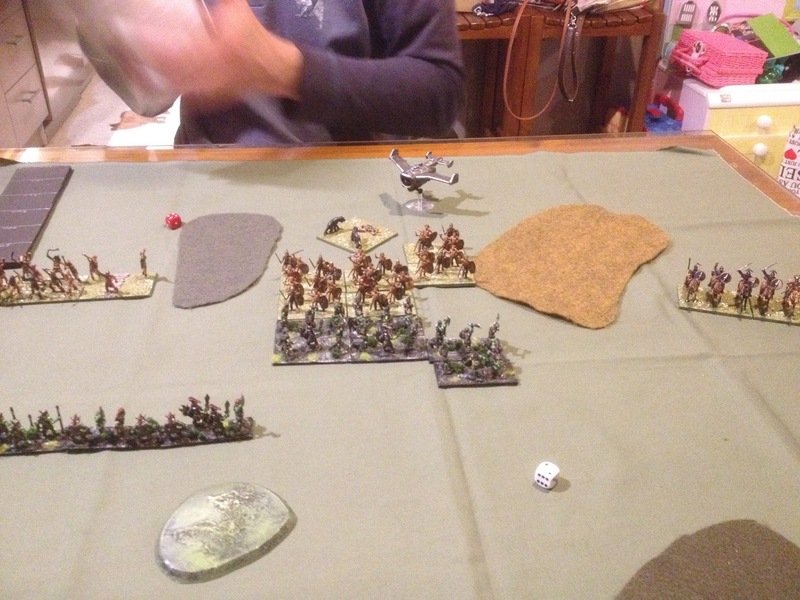 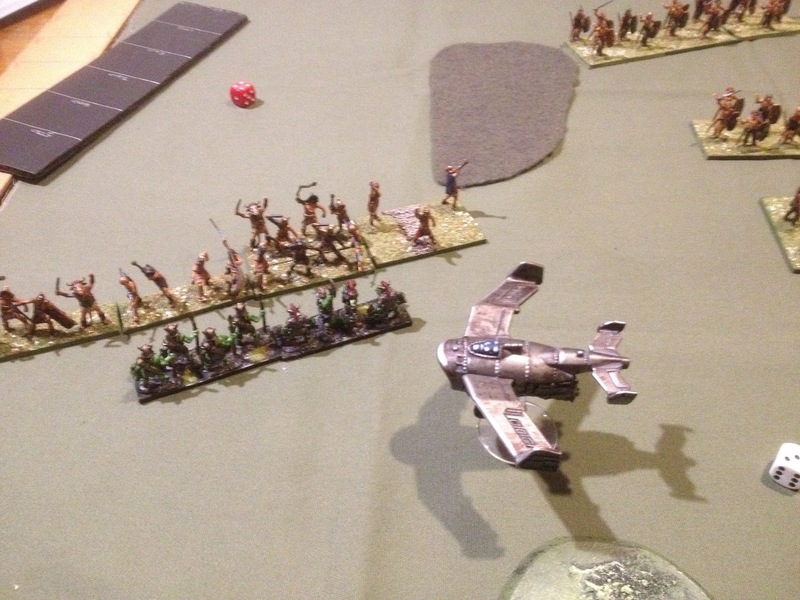 I was using the new Orc army mostly foot and an aerial hero. 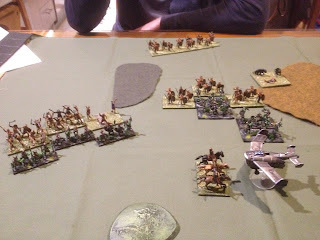 I played Andy in one game, while Nick played him in the other. It's been a week, so rather than try to remember exactly what happened, here are some photos of the two games. 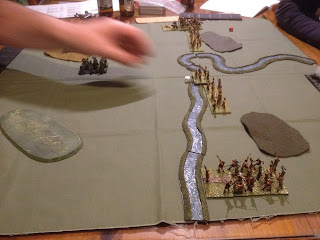 You can see from the photos how lovely Andy's army is. 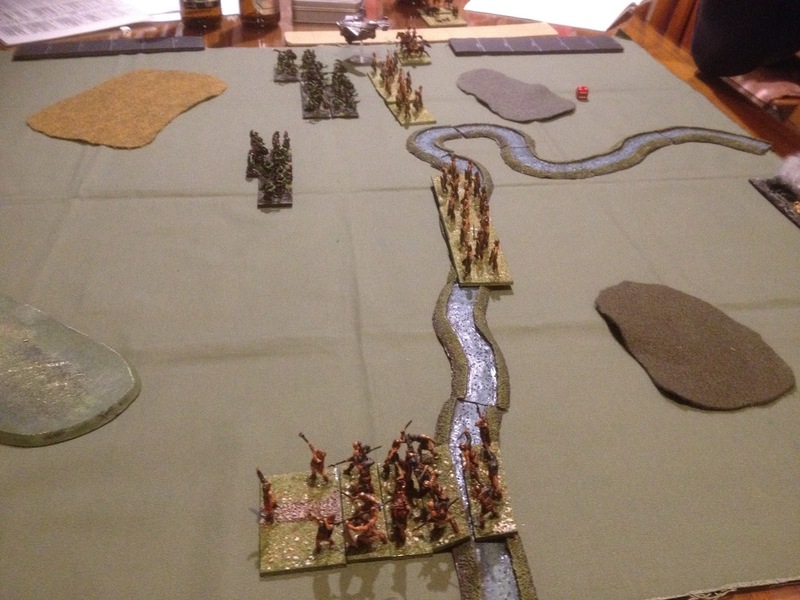 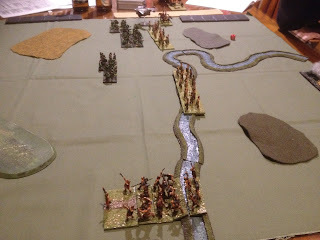 Set up in the second game, with a river. 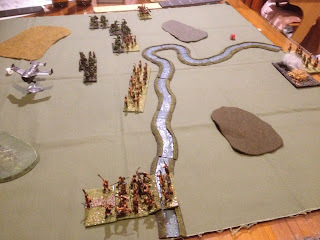 As there were no magicians in either army the river was simply a movement obstacle. 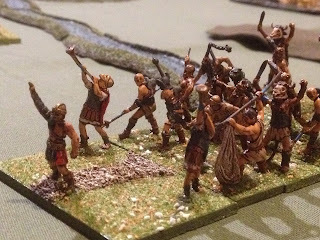 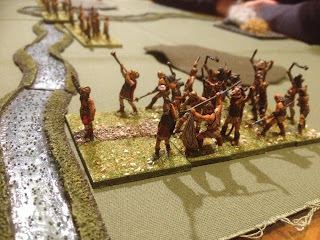 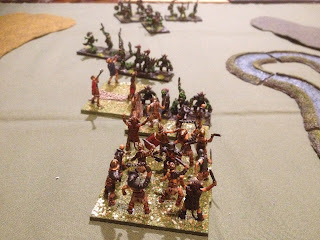 Although there's no game commentary it would be unfair not to mention that Andy's Spartacus Revolt army was victorious in both encounters against the orcs. Well done Andy.